1993 was a turning point for New York City -- and the world. From conflict in Europe to peace overtures in the Middle East, to national debates on gay rights and gun control and the WTC bombings, a new exhibit at the New Museum revisits that pivotal time. 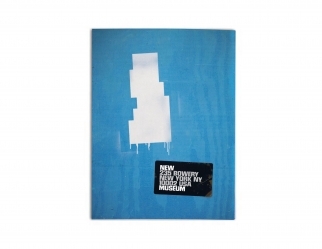 Titled "NYC 1993: Experimental Jet Set, Trash and No Star," (the subtitle comes from Sonic Youth's 1993 album), the museum takes a capsule look at the scene in the city 20 years ago. The museum tapped Droga5 for a smart installation piece that brings a bit of 1993 to anybody willing to touch one of the last relics of that time: the lowly payphone. 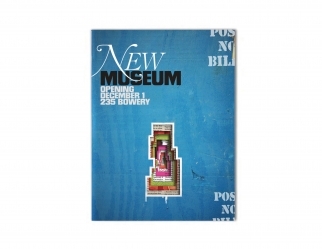 The agency turned 5,000 NYC payphones into time machines. Dial 1-855-FOR-1993 into any of those phones (a full map is here) and hear a recording of a story specific to the neighborhood and street corner you happen to be on, recorded by tour guides, journalists, then-teenagers, rap stars and more. Narrators include chef Mario Batali reminiscing about opening "Babbo," Robin Byrd explaining the sordid path of Times Square, WNYC host Brian Lehrer, and NYC tour guide Timothy Levitch. Meanwhile, the future of the payphone is also up for discussion. New York City recently held a design contest asking people to "reimagine" payphones. One of the shortlisted ideas was out of design firm Control Group, which turned payphones into digital nodes that let you pay bills, parking tickets or call a cab.